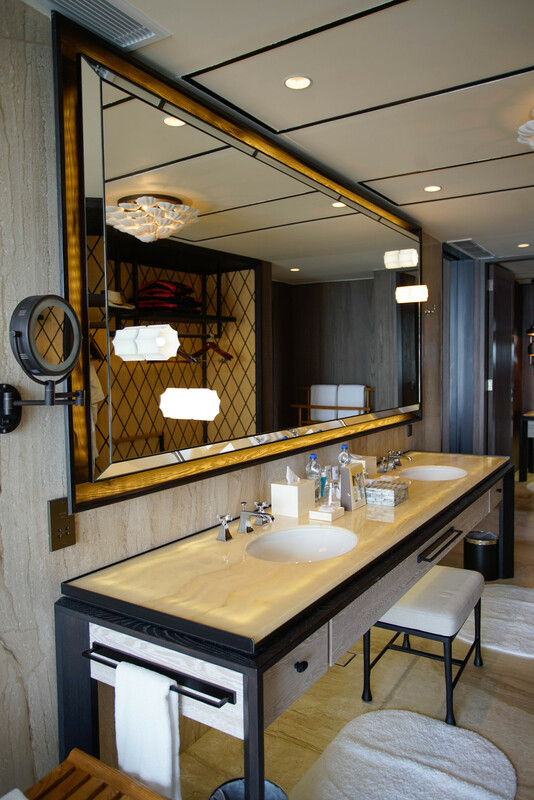 Nothing says paradise more than Maldives and nothing says luxury more than St Regis so here at the brand new St Regis Maldives Vommuli Resort, you have the perfect combination of luxury and paradise. And family friendly too! 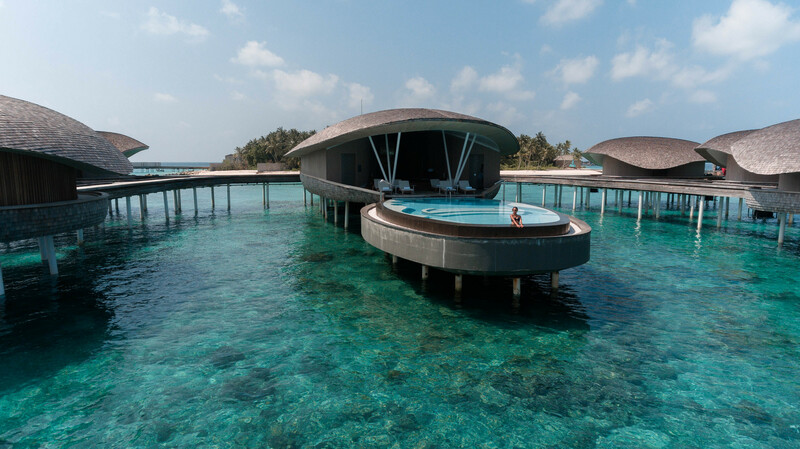 Unlike many other places on the planet and one of the things that makes the Maldives extraordinary unique is that each hotel is located on a private island of itself. 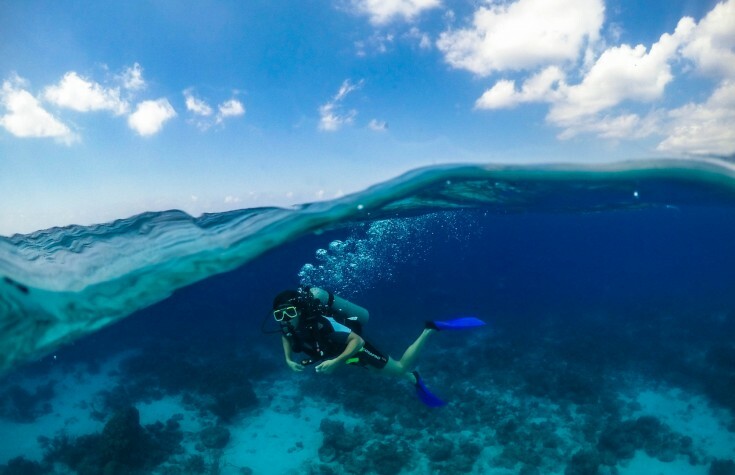 In order to understand this concept, we need to realize that this island country is composed of a chain of 26 coral atolls each of which is made up of hundreds of different islands all dispersed through roughly 90,000 square kilometers making it one of the world’s most dispersed countries! 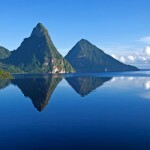 These hundreds of islands are miniature islands, most of which are inhabited and left untouched. 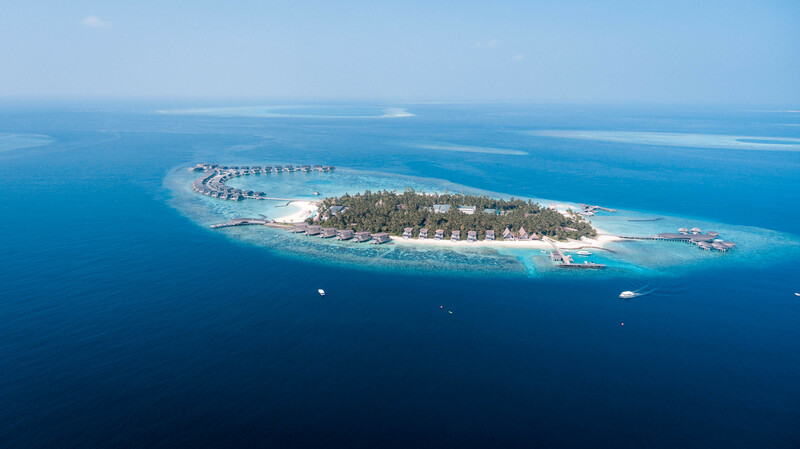 For this reason, each island can only “host” one hotel and also one of the reasons why most hotels have water bungalows. 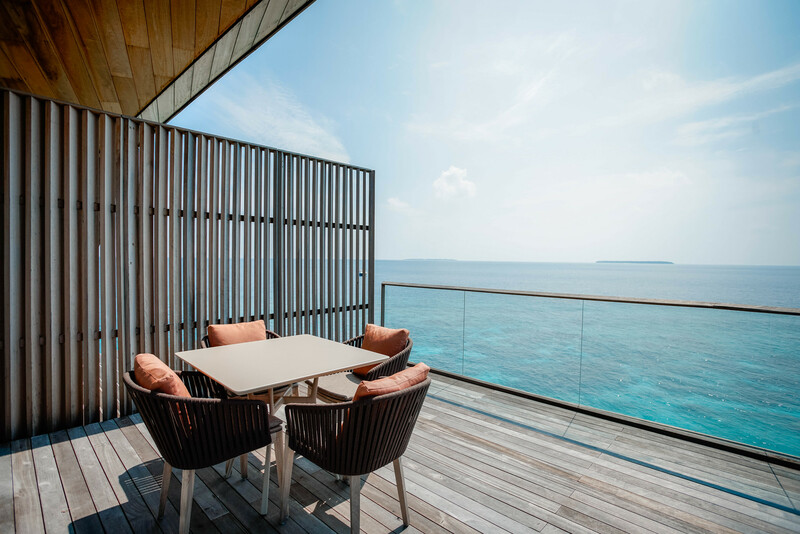 This is why planning a trip to Maldives is extremely different than planning a trip to most other tropical destinations, and why it’s crucial for you to do lots of research to choose the right hotel since you will be spending all of your time there. This means you will sleep, eat and do all of your actives in the hotel. 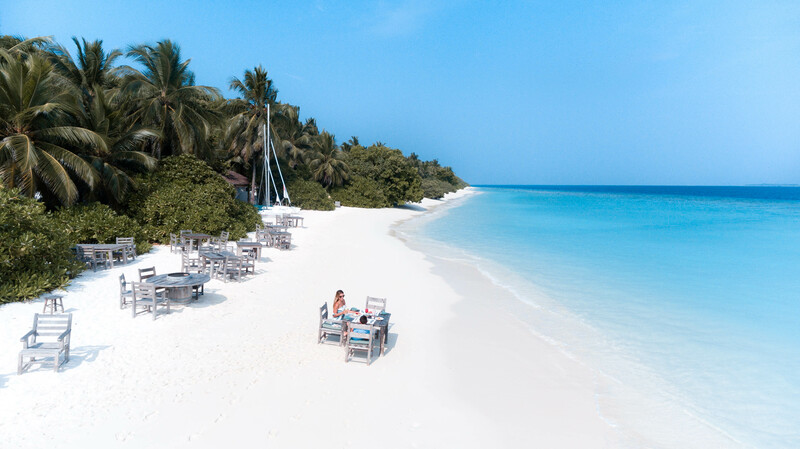 In Maldives, you can not simply leave the island and go somewhere for lunch or explore a different beach (Unless you are staying in the capital, Male ). 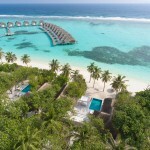 This means that essentially the hotel that you choose to stay in will define your whole Maldives experience. 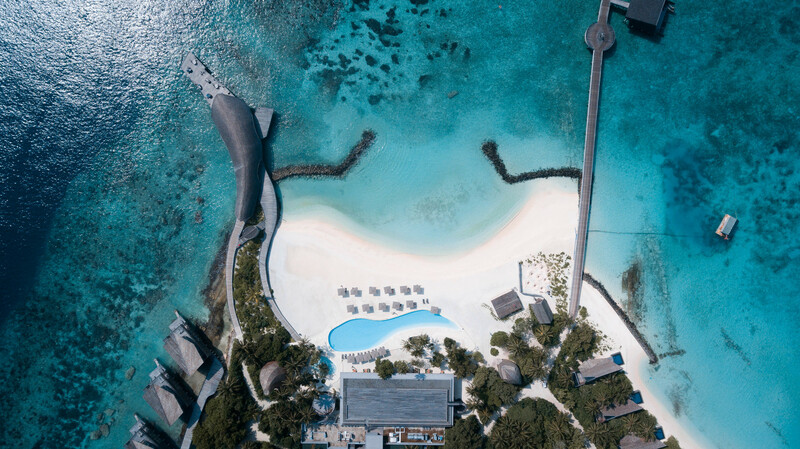 Offering a secluded location, the St Regis Maldives Vommuli Resort is a 45-minute seaplane ride away from Male International Airport. 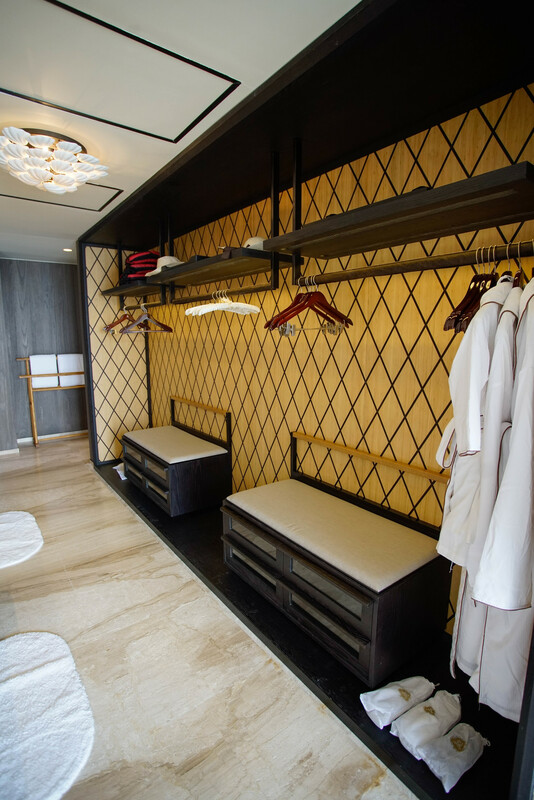 Once you land in Male, St Regis butlers will be waiting for you right in the arrival section. 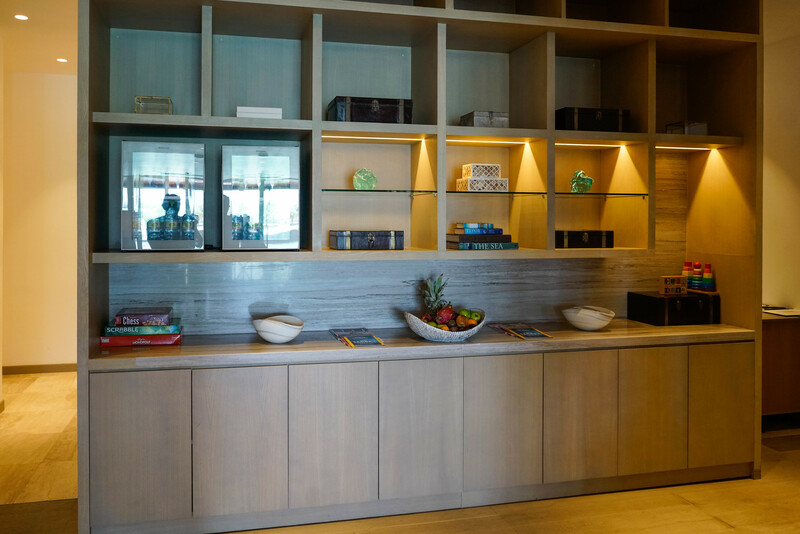 From this point on, you won’t have to worry about anything else as they will take care of the check-in for the seaplane, making this transition smooth and fast. 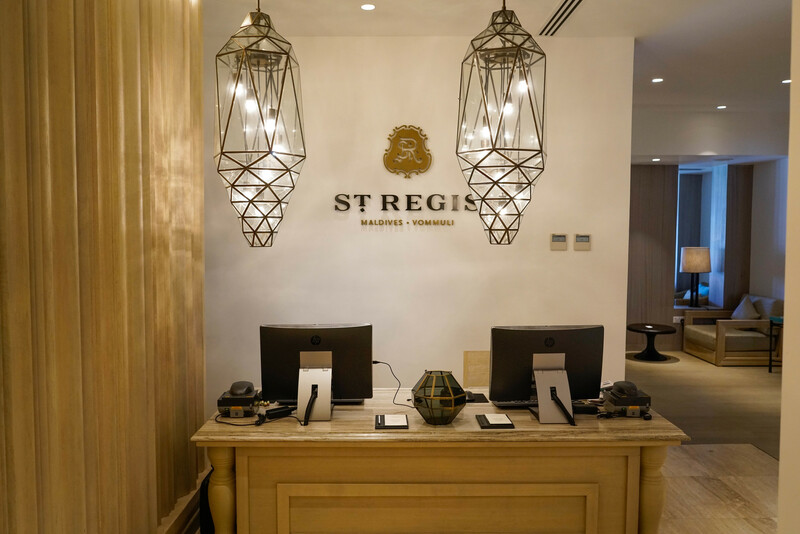 Once you get your boarding pass, you will be transported to the lounge in a St Regis van, SUV or you can even request the St Regis Bentley to take you to the lounge. 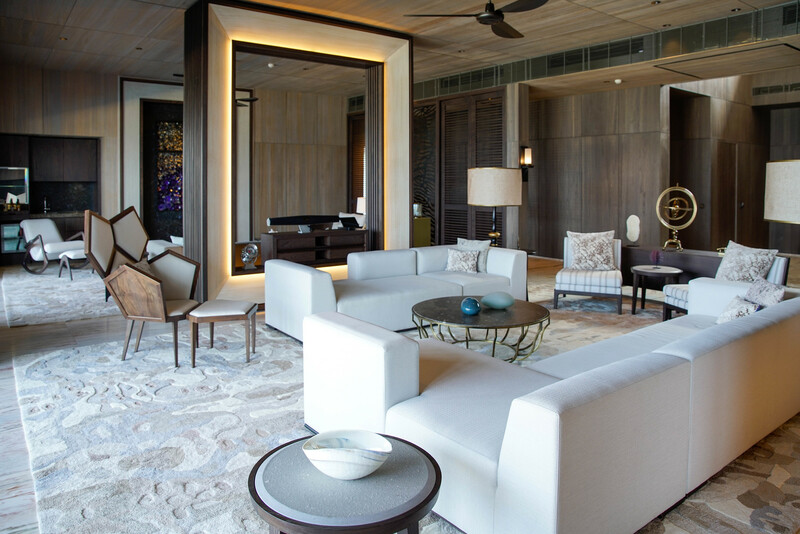 The St Regis Maldives Vommuli Lounge is definitely the best airport lounge we have seen and experienced in Male. 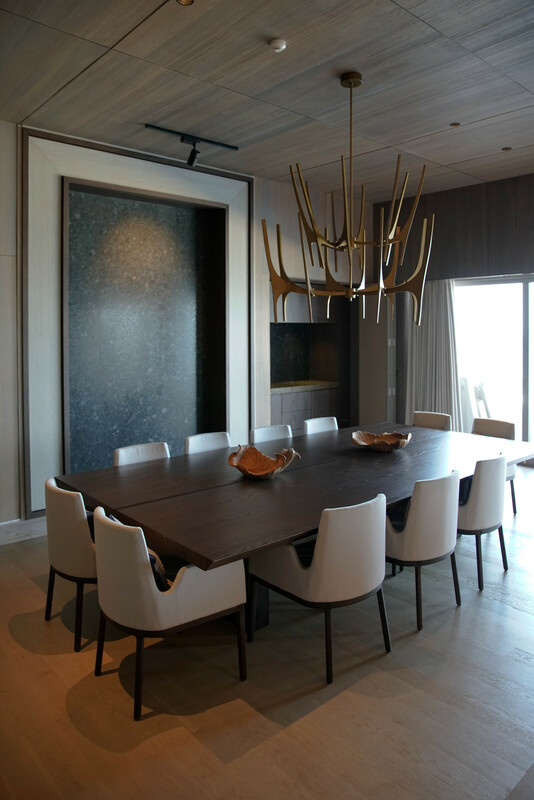 It is beautifully decorated overlooking the water and designed in a way to give all the guests privacy. 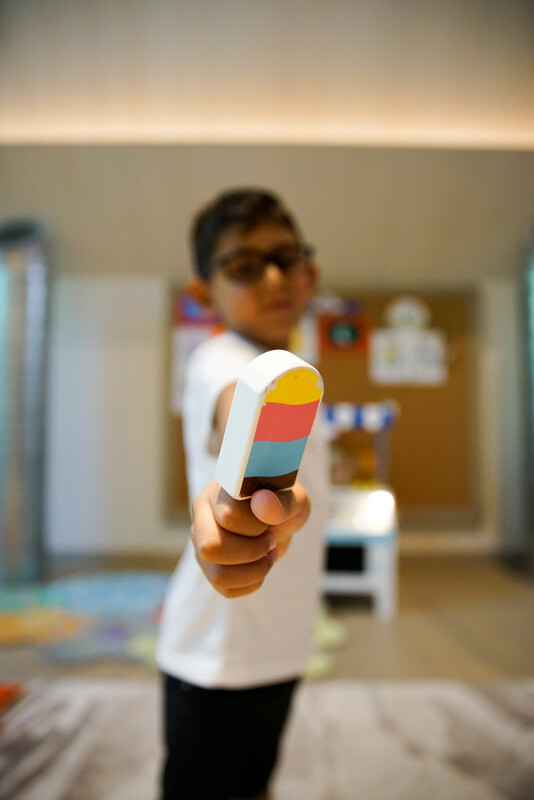 There are different selections of items you can order such as muffins, croissants, and different types of treats and there are a few toys for the little ones to be entertained. Our wait time was about one hour and were transported right next door for immediate boarding. 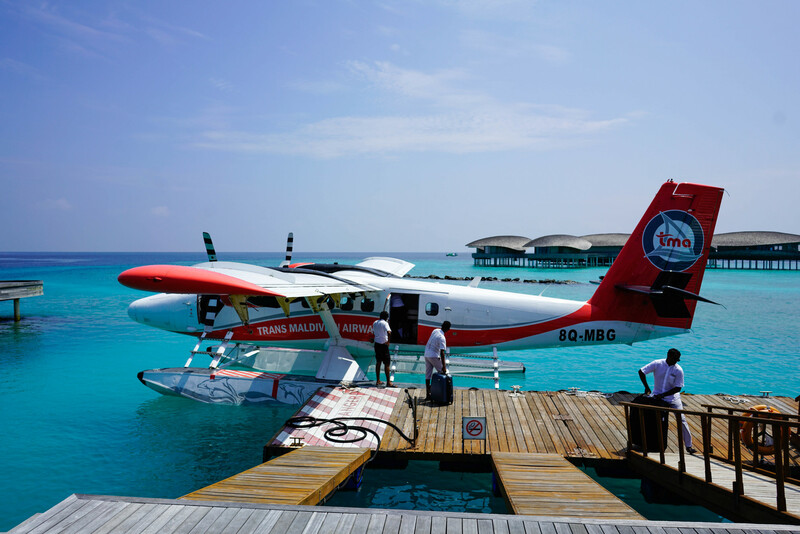 The seaplane ride is crazy beautiful and something that everyone coming to Maldives must experience. 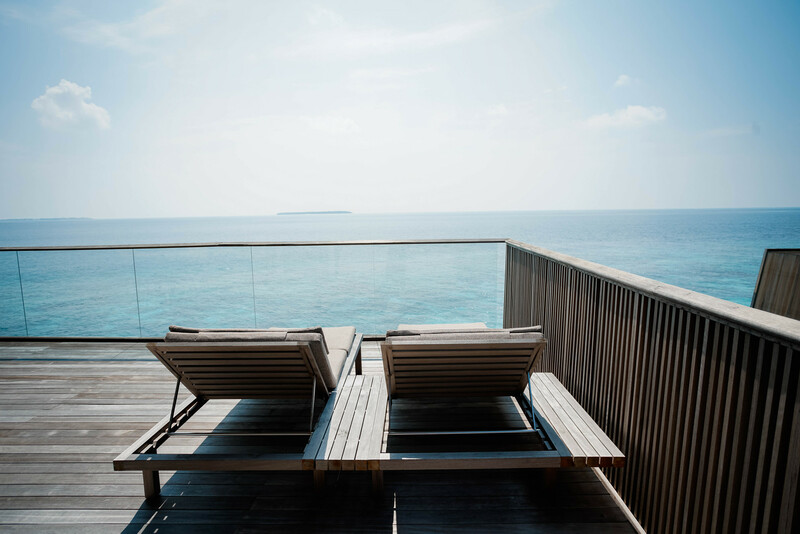 From here you will be able to see all the small atolls (islands) and grasp the beauty of this country. Don’t have many expectations from the flight, however. 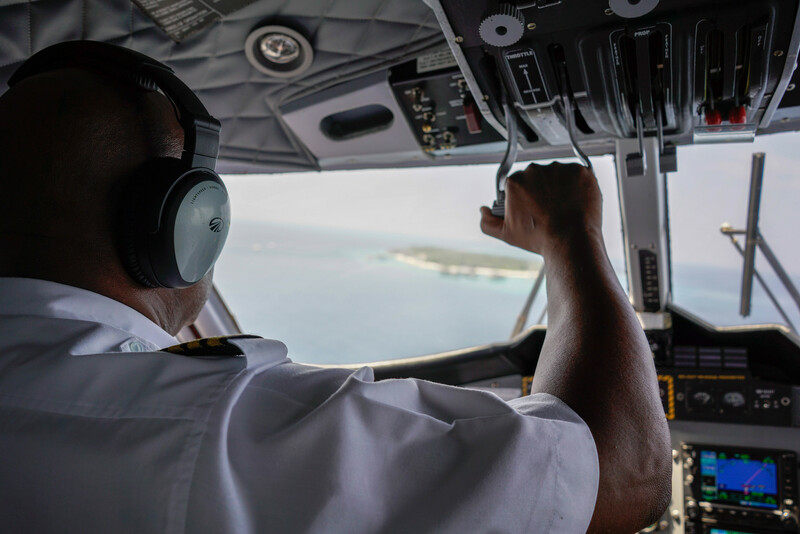 The only beauty is the view from your window because the seaplane is very small, lacks ventilation, can get loud and it can be claustrophobic. 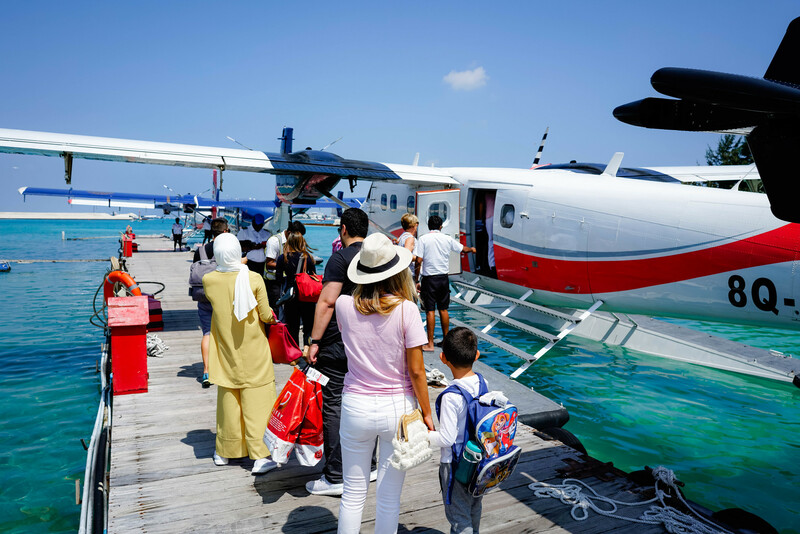 The cost for the seaplane transfer is about $650 USD per person which is higher than the average charge in other hotels. 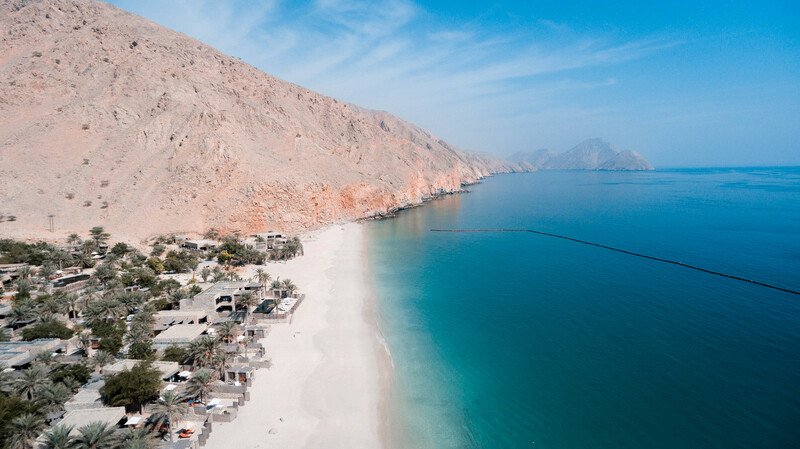 You will land right at the boat jetty in the hotel where the staff will be lined up and waiving with a big smile on their face. 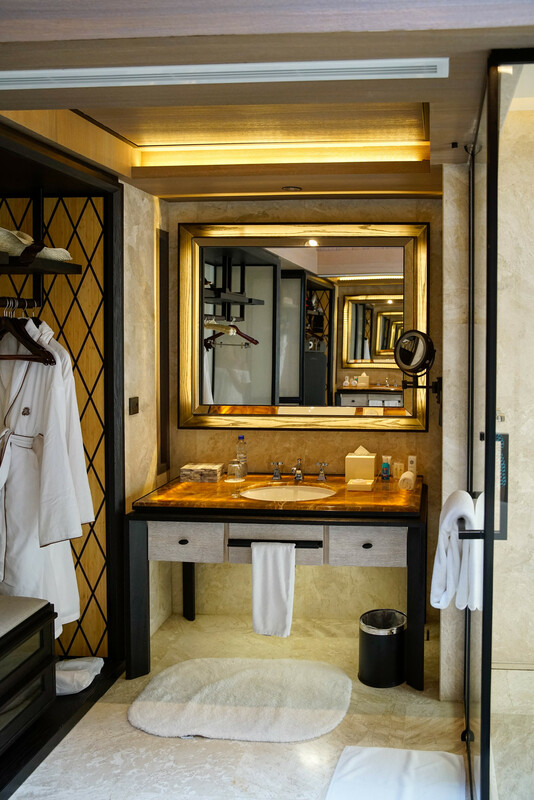 With some cold towels and coconuts, you will meet your butler who will be responsible for taking care of you during your stay. Our butler Riyaz was very friendly and helpful throughout our stay. He was even picking up my little one Aryan from the Kids Club and dropping him off where we were which was so helpful! 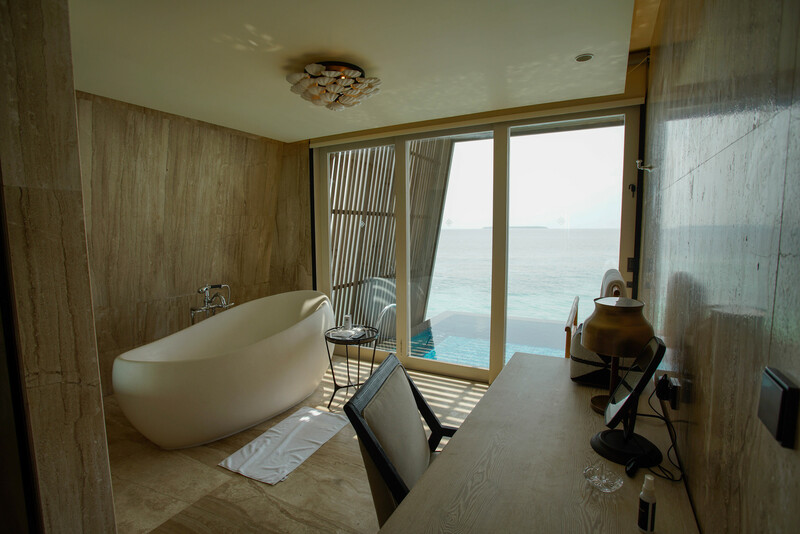 There are 77 different villas in St Regis Maldives Vommuli Resort each offering a unique experience based on your needs. 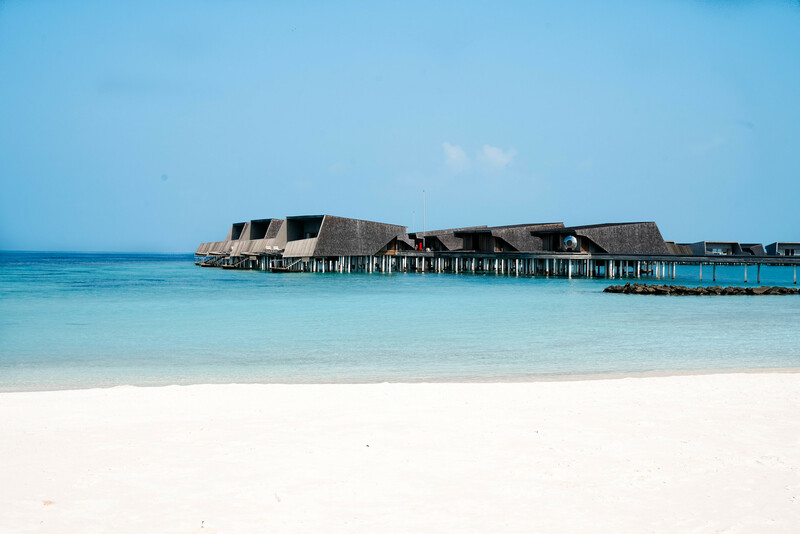 Whether it is the picture-perfect Overwater bungalows (probably what brought you to Maldives in the first place! 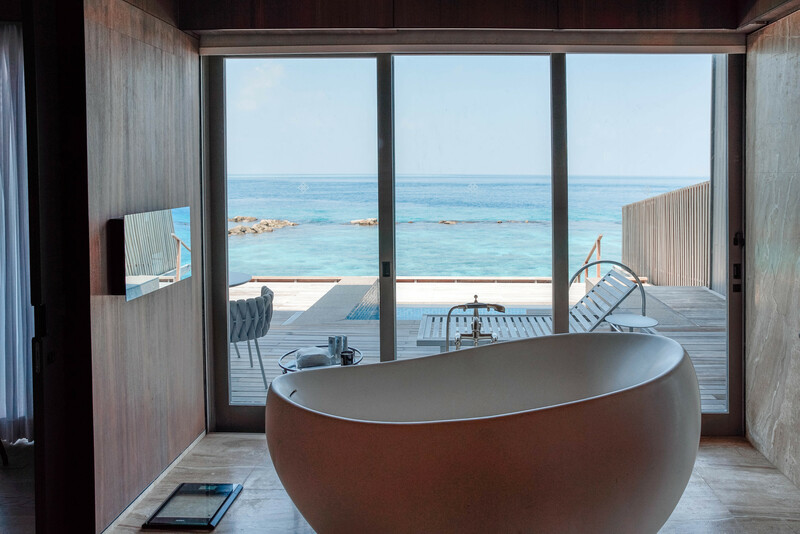 ), garden villas for those who want more privacy, beach villas with infinity pools overlooking the beach, or family villas either by the beach or on the water. 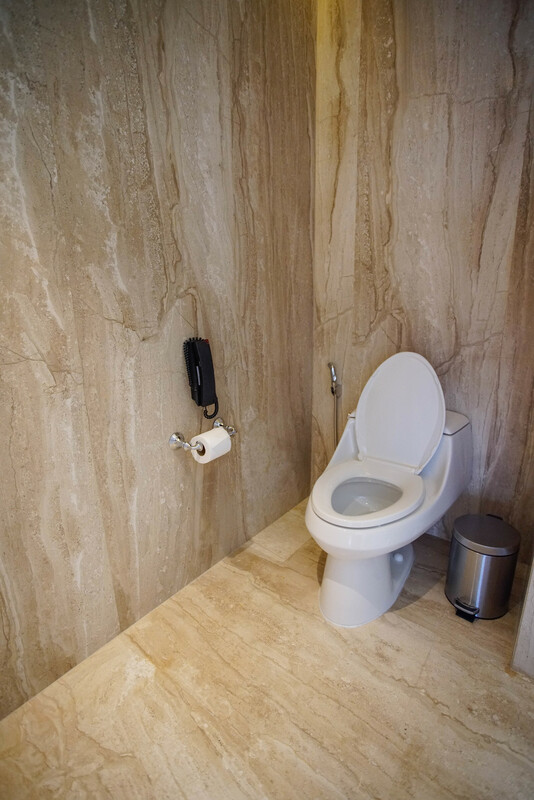 Either way all the interiors of the villas are extremely well designed and modern. 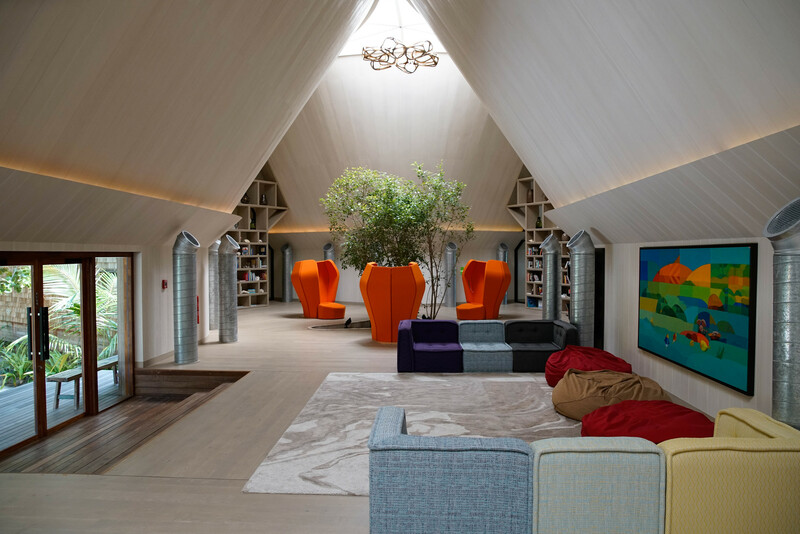 Check out below the interior of the garden villa. 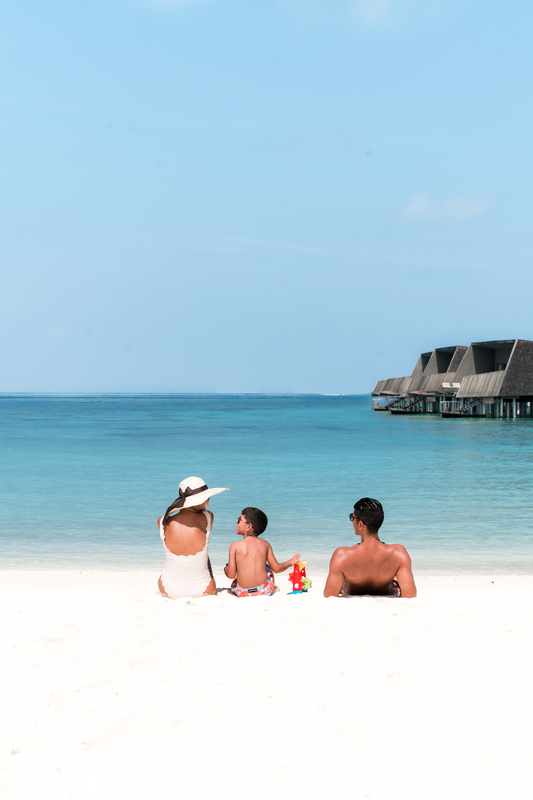 We initially had an Overwater bungalow reserved for my family and I but due to availability, we were welcomed to a Two Bedroom Family Water Villa instead. 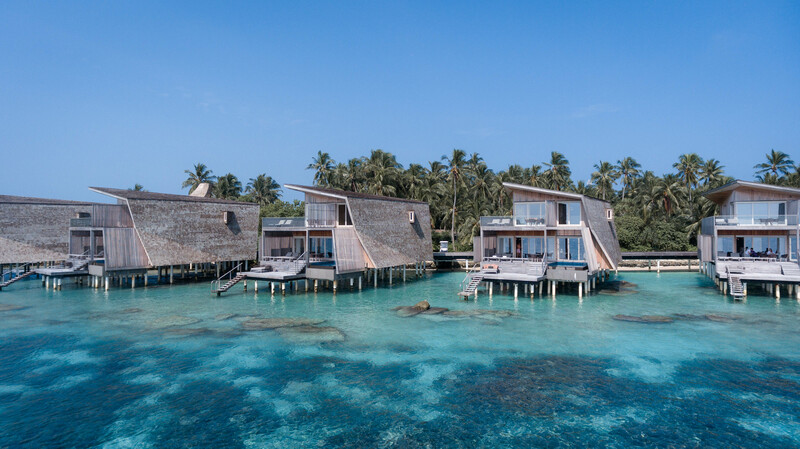 Don’t be fooled by the name like we were, this family villa is very much the same as an overwater bungalow, except much bigger and better for families. 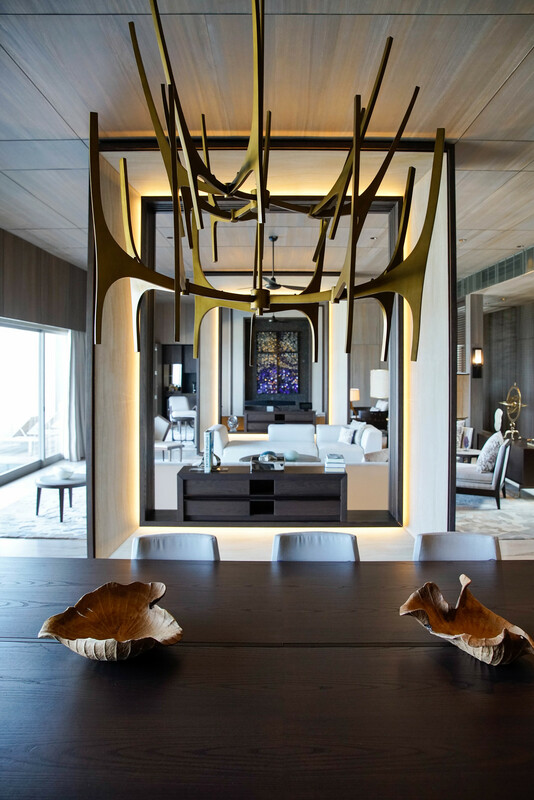 With a modern and contemporary luxurious design, similar to all of the property, and with almost 3600 sq ft this villa is nothing short of spectacular. 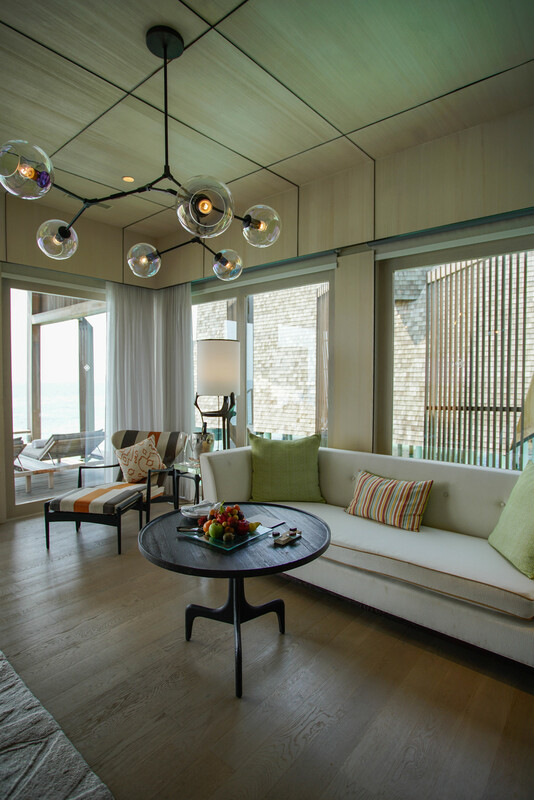 On the ground floor, you have the spacious master bedroom, office area, huge bathroom with a free-standing bathtub overlooking the plunge pool and ocean, an equally as big walking closet, and a deck with the plunge pool, outdoor eating table, and sun beds. 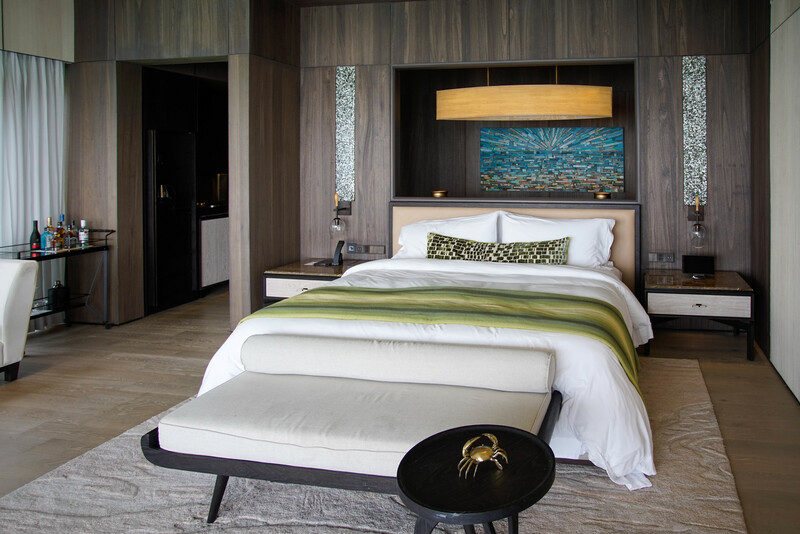 As the St Regis Maldives Vommuli Resort is only one year old, the design is not the only modern aspect of the resort. 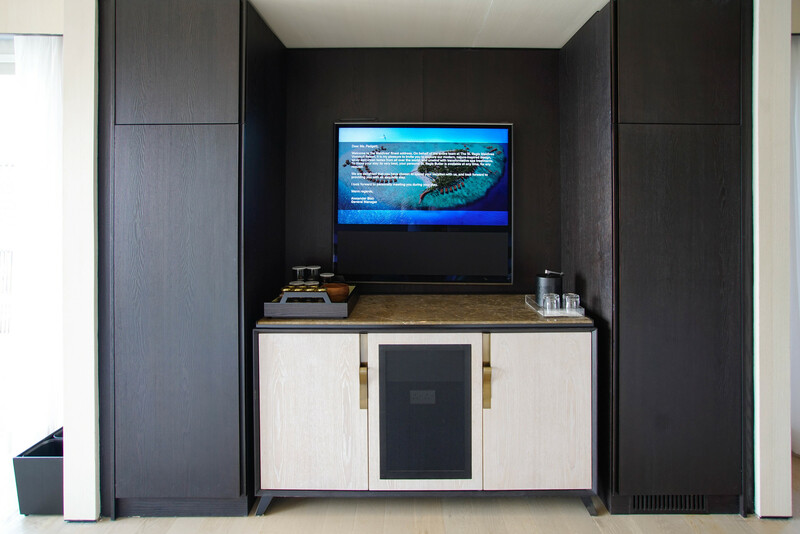 One of the “wow” factors of the villas is that they are fully connected and controlled via an iPad. 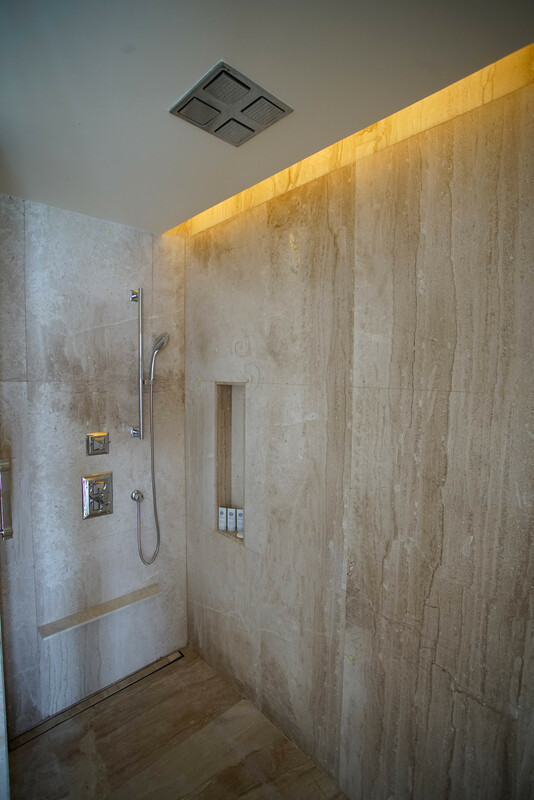 You can turn on all of the lights, blinds, sheer curtains, TV, check the spa menu etc all through the iPad! 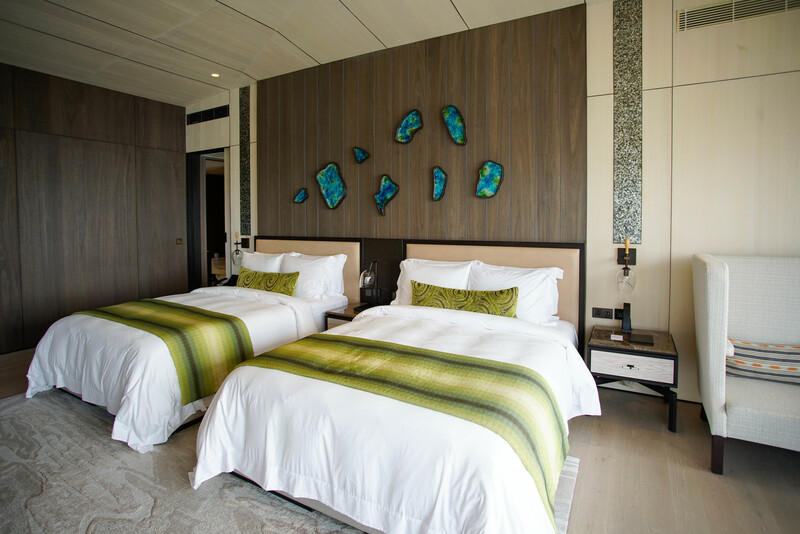 The second floor is almost a mirror image of the first, with almost the exact same bathroom but with 2 queen beds instead of 1 king bed. It also has its own private terrace with a great view. 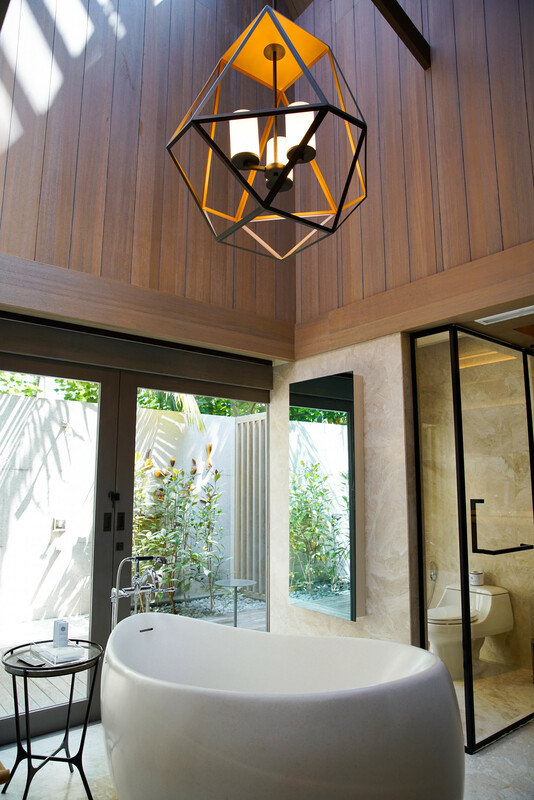 We fell in love with our villa not only because its design and functionality but also because it had a great location. 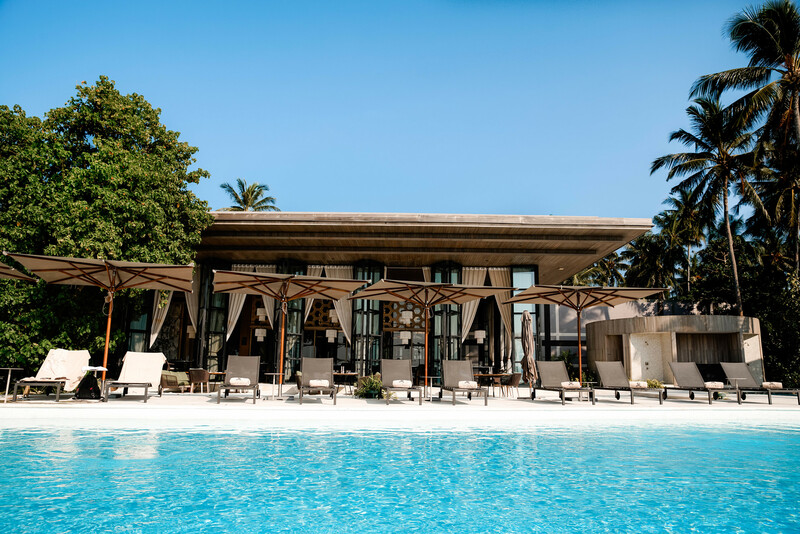 It was super close to the main pool, main restaurant, beach, gym and kids club yet it was very private overlooking the ocean on the sunset side. 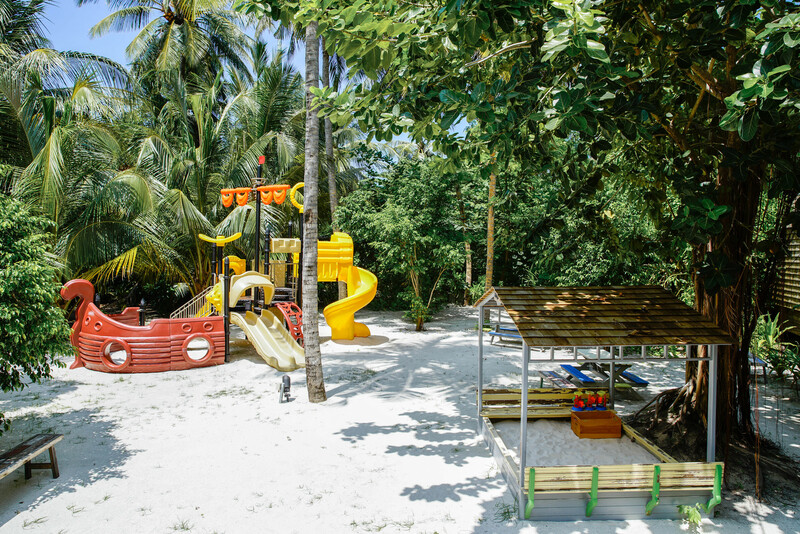 I would highly recommend you ask for our villa, villa #209 if you want to book a family villa. 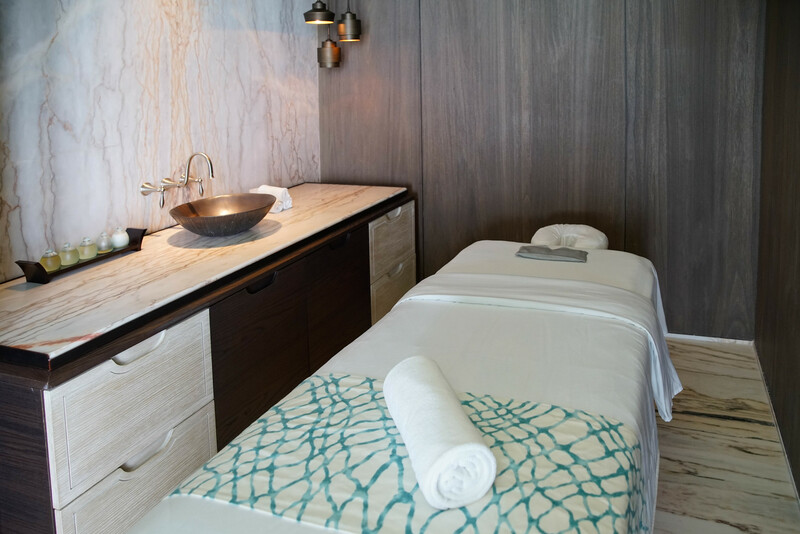 The St Regis Maldives Vommuli Resort is home to the biggest overwater bungalow in the Maldives, the John Jacob Astor Estate which is a 3 bedroom villa that is fully equipped with spa, gym, 3 pools and even 3 nanny rooms! Perfect home in paradise don’t you think ?! 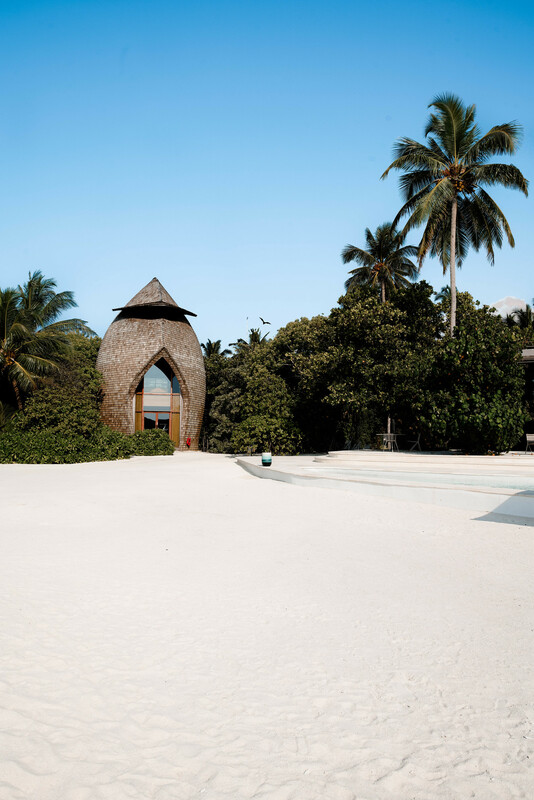 Rates vary between $27,000-53,000 USD per night. 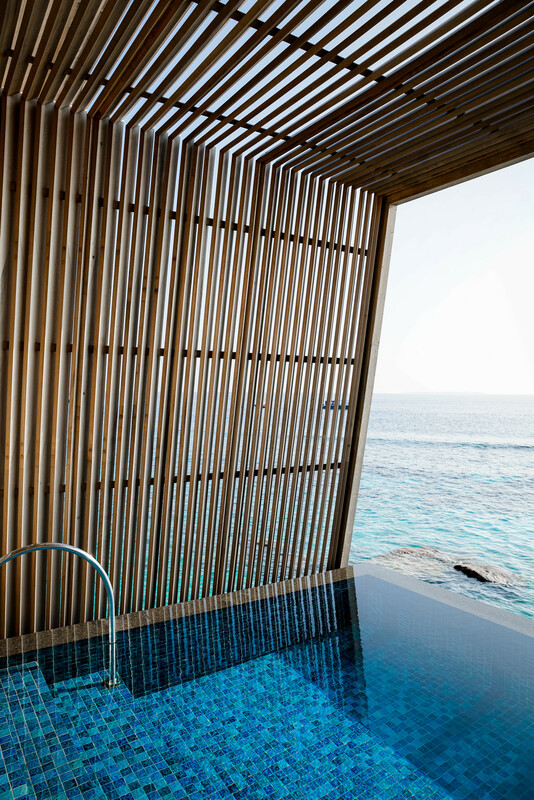 Everything from the infinity pool to the design is extraordinary. Oh did I mention you get your exclusive bentley buggy? 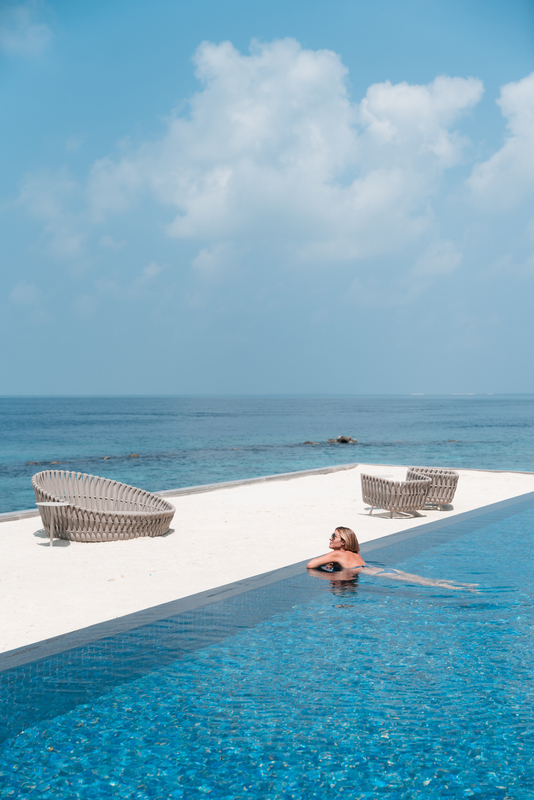 Though every single room category in the resort has its own private pool, the St Regis Maldives Vommuli Resort has a beautiful infinity pool overlooking the beach, the bungalows, and the famous whale bar. 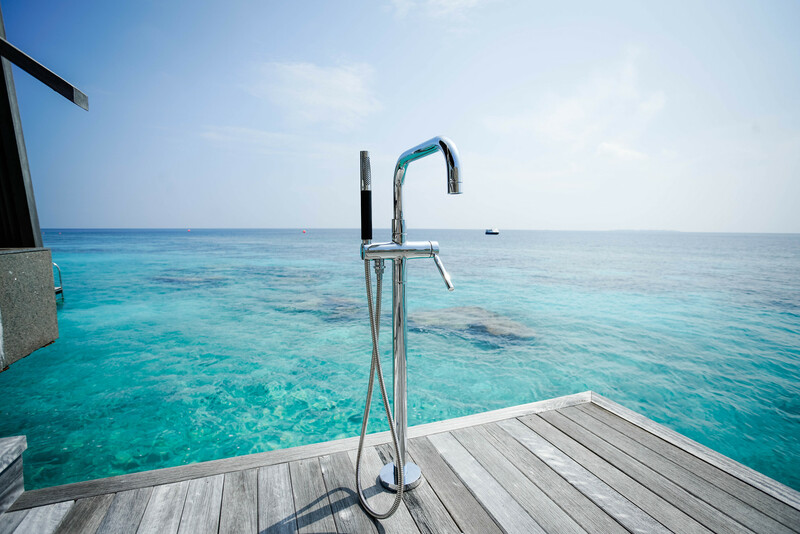 There is also sunblock and water available in different corners of the pool which is very convenient. I hope that in the near future they will replace the plastic water bottles with glass bottles not only by the pool but thought the property as its more environmentally friendly. 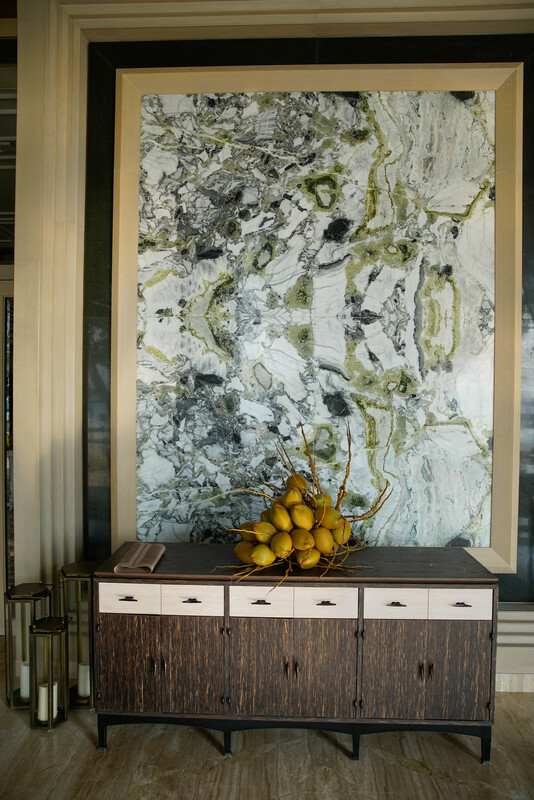 Speaking of which, the Whale Bar is one of the iconic features of the hotel along with the Spa. 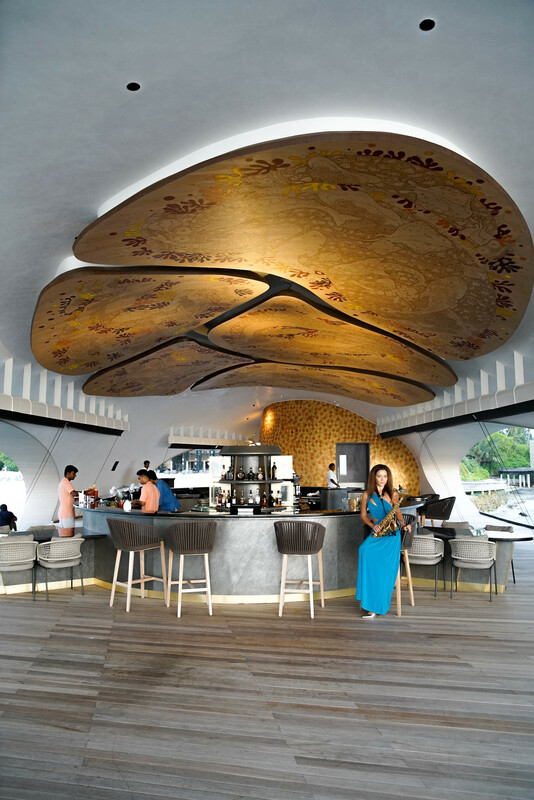 In Fact, the Whale Bar which name derives from its design inspired by a Whale Shark has won the International Design Awards for 2017. Once you walk in you will realize why… from above, from inside, the view, from everywhere this bar looks incredible. This is definitely the best spot to watch the sunset, have a drink with some tapas, and enjoy the amazing music! The DJ and the saxophonist are absolutely incredible. These two girls play the perfect tunes and give the bar such an amazing vibe. 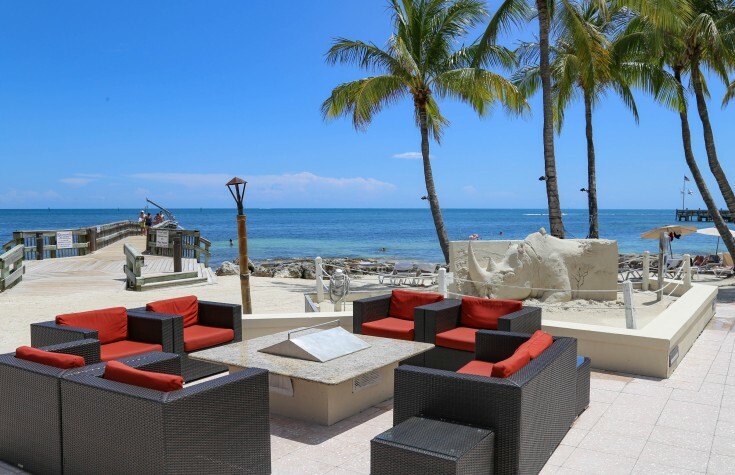 The main beach is right across from the pool and though it is not very long, it is gorgeous and has great views of the bungalows and the whale bar. A great spot for photos too! 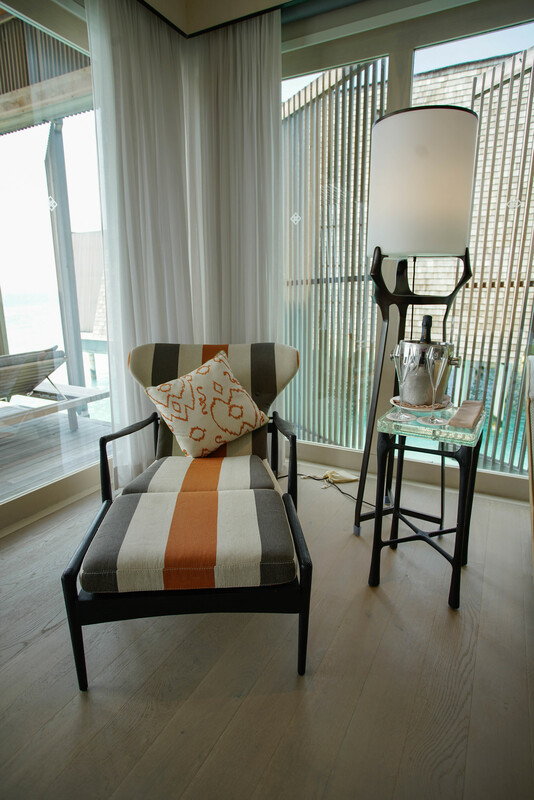 Close to the pool and right in front of the boat jetty you have the boutique shop. And this one is not like any regular boutique shop. Just look how cool the exterior is! Vommuli house is where you will find the gym, anti-gravity yoga studio, music room, game room and the kids club. The gym is quite small but its good for a quick workout. The best part is definitely the modern treadmills that allow you to browse while you run. 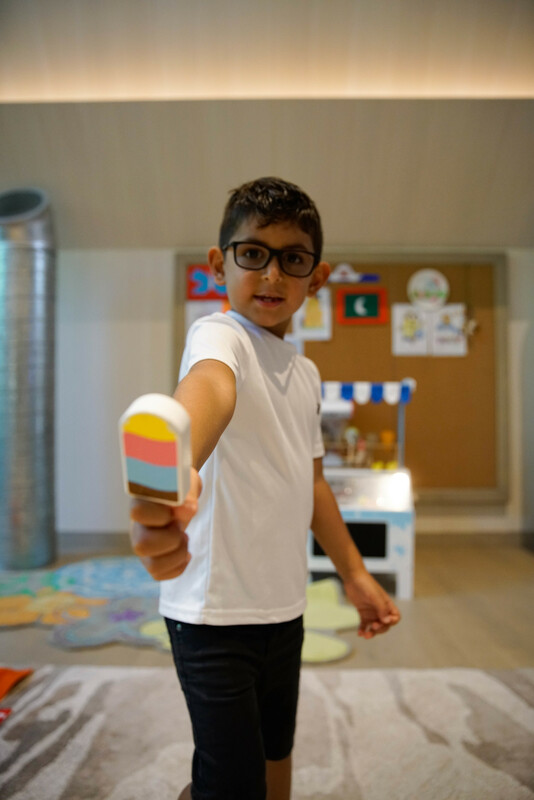 My little one had a great time in the kids club doing many activities such as baking cookies, playing indoor games, playing at the outdoor playground etc. At the end of the day, he was always sad to leave. The hours are from 9 am to 6 pm which is very good, but I wish it would be open until 7 pm that way it allows parents to enjoy the sunset before having to get the little ones. 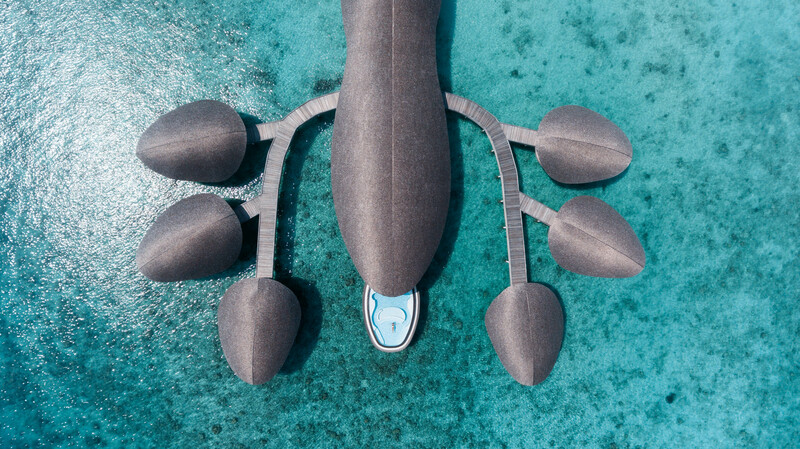 Shaped like a lobster, the spa at the St Regis Maldives Vommuli Resort is one of the most beautiful and unique spas we have ever seen. 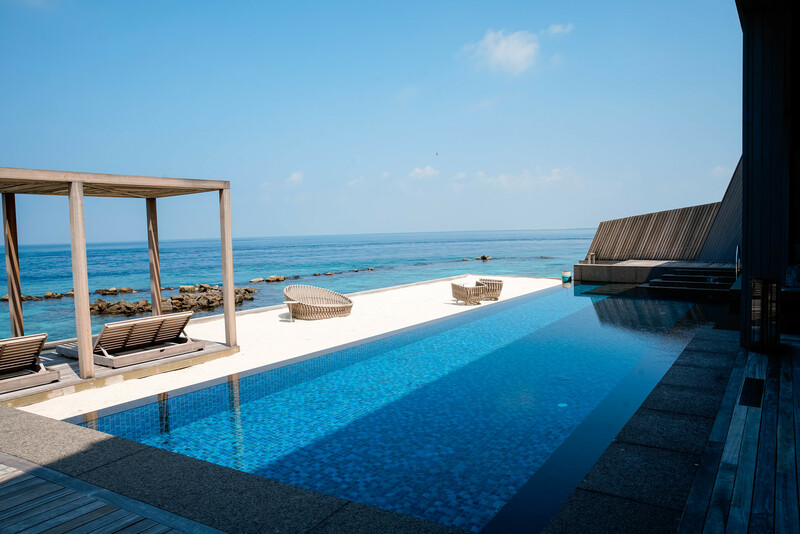 We enjoyed a “Blue Hole “ experience which is the gorgeous infinity pool featured above while my little one was baking cookies at the Kids Club. 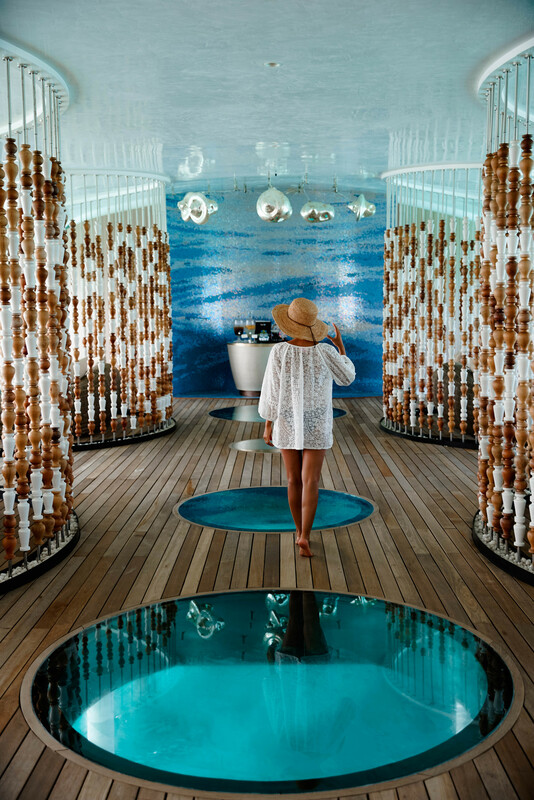 You can book this jacuzzi for yourself for one hour for $55 per person without having to get any spa treatments this is what the “Blue Hole” experience means. The good thing is that you can leave your little ones at the Kids club and not miss out on this great opportunity. 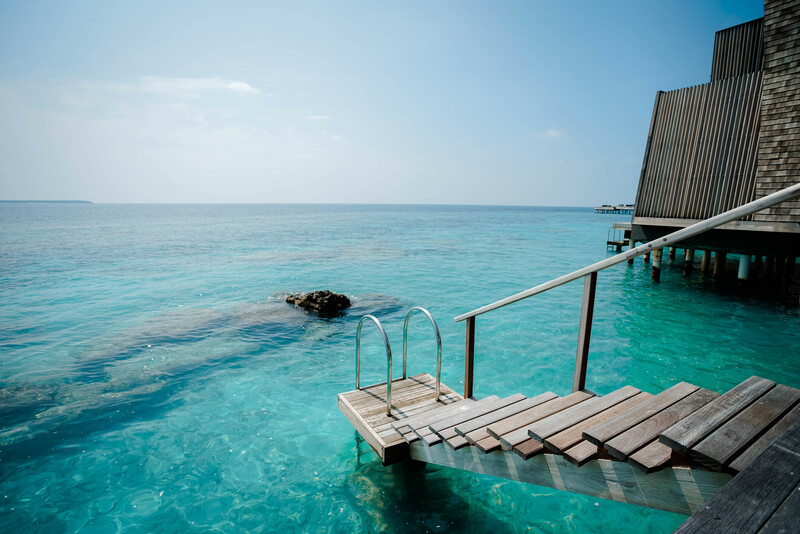 I would highly recommend it as its a gorgeous pool with great views and its the biggest hydrotherapy pool in the Maldives! 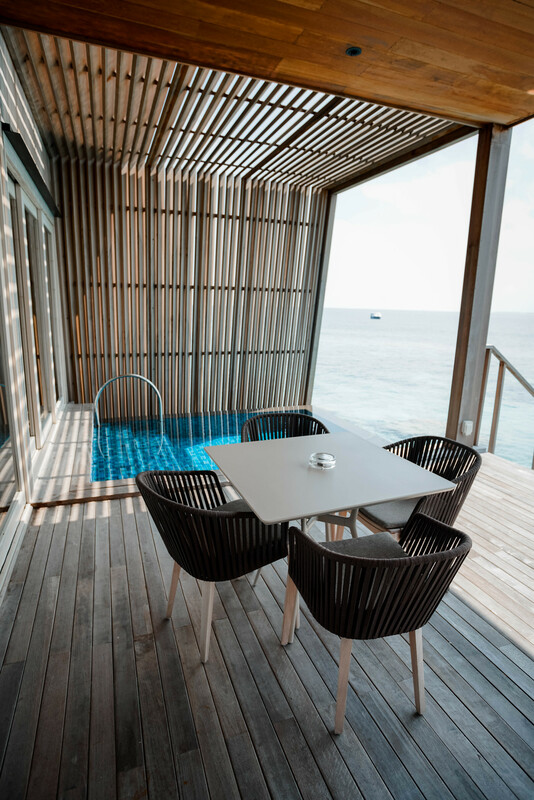 With many dining options in St Regis Maldives Vommuli Resort, we found the quality and selection of the food to be excellent even for us as vegans. 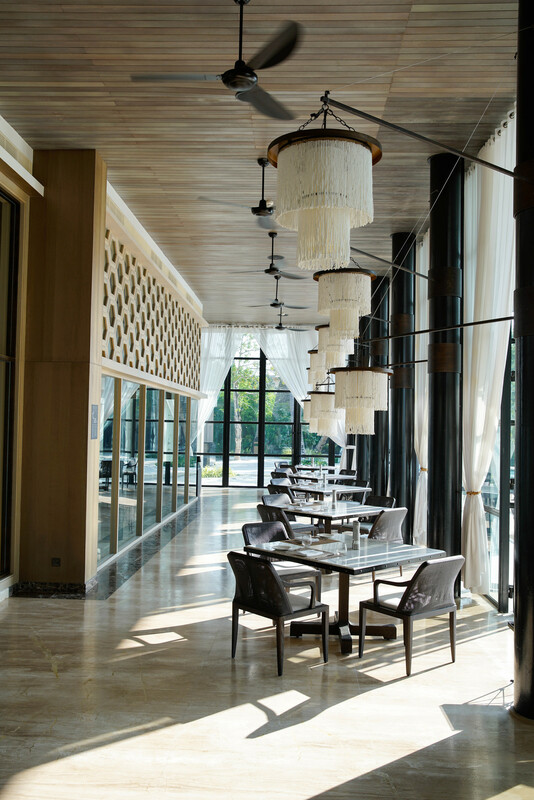 Alba, the Italian restaurant, is open for breakfast, lunch, and dinner daily. Their breakfast selection, in particular, is very impressive with la carte options ranging from foie grass and lobster to french toast. Included in the breakfast price of $55 per person you get 3 alcoholic beverages of your choice such as mimosas and white wine, and a buffet and la carte options. We asked for many items outside of the menu such as oatmeal porridge made with soymilk or smoothie with coconut milk, and the staff always made it possible with no hesitation. Any substitutions, changes or requests were welcomed , so dont be afraid to ask. Open only for dinner specializing in Asian cuisine, Orientale was our favorite restaurant in the property. The mushroom dim sum, mushroom kofta (yes, we like mushrooms a lot haha ) and the dhal were so good that we returned the next day just so we could eat it again! 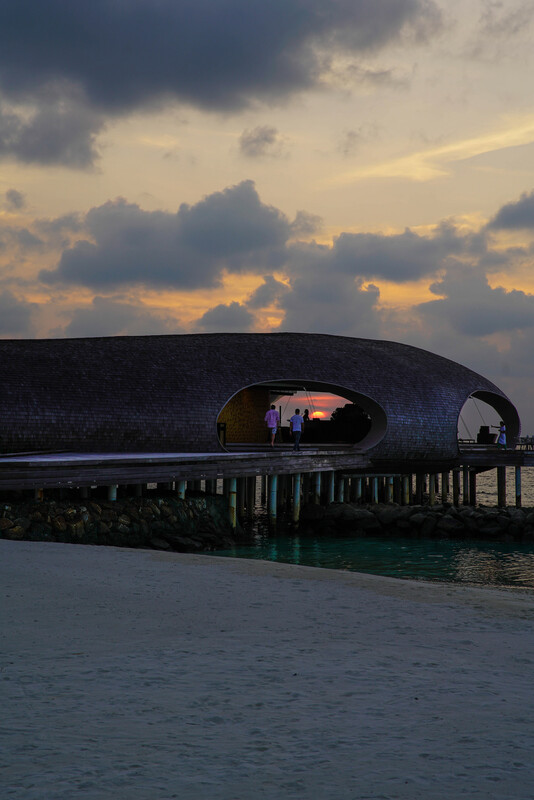 Open for drinks and tapas with the best view of the sunset, the Whale Bar is absolutely spectacular! They don’t serve proper meals here but it is a place that you should not miss especially at sunset hour! Go early because the best seats go fast. 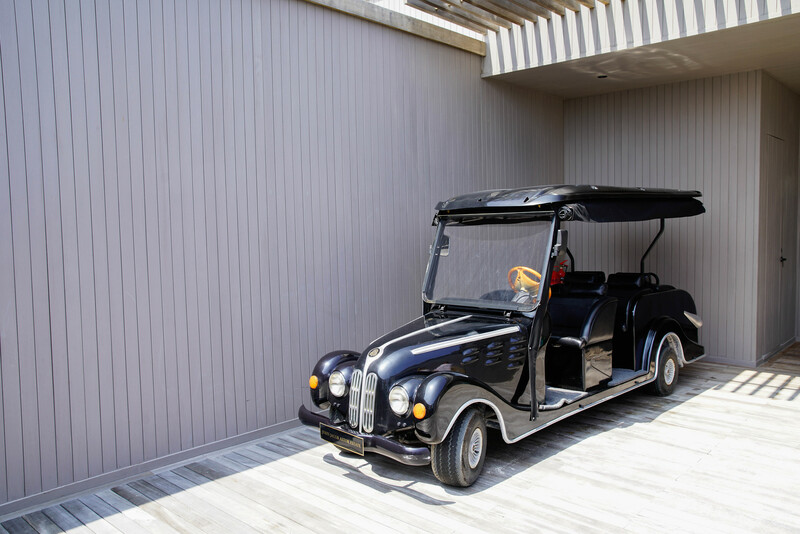 Decanter, where you can have a meal at the underground wine center, Cargo, a place for gourmet street food, and Crust, a laid-back pizza restaurant are other dining options on the property. The food and drink prices are quite high ($14 for a bottle of water, so make sure to order house water and it will be complimentary) but the quality and variety is excellent.